They married on 28/10/1865 in St Andrews Westland Row Dublin. The witnesses to their wedding were: William Smyth and Julia Moore. At the time of the marriage William was living at 40 Poolbeg Lane Dublin. His father was John Byrne. William was a seaman as was his father John. Mary Gibbons at the time of the marriage was living at 9 Windmill Lane Dublin, she was a servant at the time. Her father was Thomas Gibbons, a Maltster. Thomas born 26/8/1869 26 Georges Quay Dublin. Baptism sponsors were Thomas Gibbons and Elizabeth O'Connor. Mary Anne born 27/11/1872 at 17 Moss Street Dublin. Baptism sponsors were: William and Ellen Doyle. 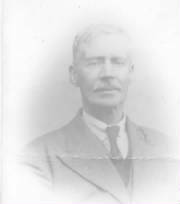 Christopher Patrick Byrne (my Grandfather) born7/12/1876 in 17 Moss Street Dublin. Baptism sponsor was Brigit Daly. Christopher Patrick became a seaman. He spent 30 years working on ships and in the employ of several different companies. He spent 16 years afloat with Tedcastle McCormick, 10 years with the British and Irish SS Co. 2 years with the Leyland Line Liverpool, 1 year with the Head Line Belfast and also worked for the Anglo American Oil Co. and Irish Shipping Ltd and the Limerick SS Co. He married Margaret Mary Fitzpatrick on 25/9/1904 at St Michans Church Halston Street Dublin. The witnesses were: Patrick Kelly and Mary Morrison. Mary Byrne born 9/7/1879 at 1 Bamfield Lane Dublin. Baptism sponsor was Anne Nolan. Christopher Patrick Byrne (my Grandfather) married Margaret Mary Fitzpatrick on the 25/9/1904 at St Michans church Dublin. Julia Josephine Byrne born 22/9/1908 at 7 Talbot Place Dublin. Baptism sponsor was Margaret Doyle. She married William Barry on 1/8/1937 in St Mary's Pro Cathedral. They had one child. Margaret Mary Bridget Byrne born 12/6/1910 at 7 Talbot Place Dublin. Baptism sponsor was Julia Fitzpatrick. She married Dennis Blanchfield on 26/12/1936 in St Mary's Pro Cathedral. They had 3 children. William Francis Byrne born 1/8/1912 at 7 Talbot Place Dublin. Baptism sponsor was Lucy Dempsey. He married Elizabeth Walsh on 19/2/1935 in St Michael and John South Dublin. They had 5 children. Mary Maria Byrne born 1/9/1914 at 7 Talbot Place Dublin. 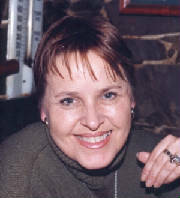 Baptism sponsor was Maragret McMahon. She married John Walsh on 26/12/1942 at St Marys Pro Cathedral Dublin. They had 4 children. James's wife Sarah Ann Cook came from Devon and her occupation was a nurse like her mother before her. James ,Sarah's husband,was a carpenter. James Thomas born 11/9/1880 in Clonskeagh ,Registrars District of Donnybrook, to James Byrne (Provision Dealer)and Catherine Farrell. 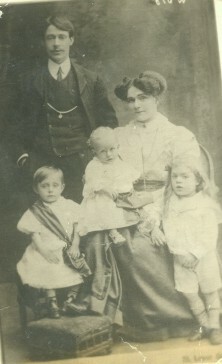 James Thomas born 16/9/1881 at 1 New Row West,South Dublin to William Byrne (Porter) and Elizabeth Carroll. If you have any Byrnes you wish to put up on our web site with full details of dates of birth please email them to us. n.b. we check out all baptisms and marriages that are submitted to us.